The marketers behind Oreo cookies blasted themselves off into superstardom almost three years ago with the now famous Super Bowl blackout tweet. Everyone in the world knows the advertising power of the Super Bowl – with half the world watching, advertisers are charged a pretty penny indeed to have their brands displayed in commercial breaks or elsewhere in the program. But, this is the age of social media, which means that some great advertising can be done for free. In case you don’t know the story, during Super Bowl XLVII in February 2013, a hotly fought contest between the Baltimore Ravens and the San Francisco 49ers, something unprecedented happened – the lights went out. A power outage at the Superdome caused a blackout, which lasted for 34 minutes, just as the second half got underway. Within minutes, Oreo’s social media team jumped on the cultural moment, tweeting an ad that read “Power Out? No problem” with a starkly-lit image of a solitary Oreo and the caption, “You can still dunk in the dark.” The message caught on almost immediately, getting nearly 15,000 retweets during the game, and more than 20,000 likes on Facebook. Since then, Oreo marketing has been almost as famous as the cookie itself, and indeed, this tweet has received a lot of attention, and analysts even now (myself included) keep marvelling at it. What the tweet so beautifully demonstrates is Oreo’s absolute grasp of social media marketing in the digital age. My goodness, 2013 is practically a lifetime ago in digital terms, but even way back then, the Oreo marketing team had the game sewn up. This particular tweet is an example of reactive marketing – something that indeed has only really become possible in the age of social media (at least to the extent that we’re witnessing it at now). Well, put very simply, reactive marketing – sometimes thought of or referred to as ‘agile marketing’ – is when brands very quickly create a marketing message to their following in reaction to a sudden happening or social media trend. What’s at once so great and so difficult about reactive marketing is the fact that these trends normally only last a few hours or sometimes a few days, rather than weeks and months. Because the Oreo tweet is just so darn good, it has so transpired that this particular piece of reactive marketing has lasted long, long since the Super Bowl XLVII blackout finished trending, though please understand that this is unusual. Indeed, the whole purpose or reactive marketing is to market the moment – so, with your own brand, make sure you keep your ear to Twitter Street to see what’s happening, and then work out how you can tie a campaign of your own in. 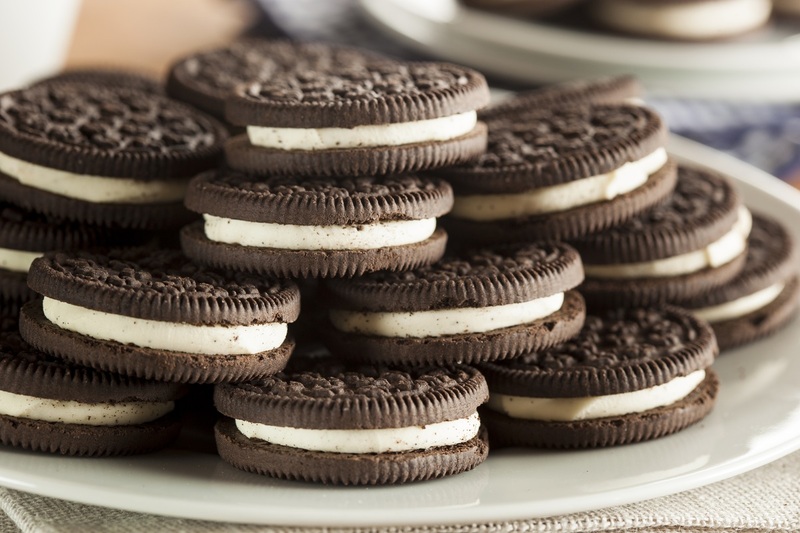 Oreo, it has to be said, are more than just a one trick pony when it comes to social media marketing. Indeed, I want us now to take a look at some of the brand’s inspirational efforts elsewhere amidst the wonderful world of social media. Clearly, the marketing team behind Oreo know exactly how to exploit the visual appeal of content marketing, and so it should come as no surprise that Oreo also perform exceptionally well on Instagram. They have rather ingeniously come up with the hashtag #PlayWithOreo, which encourages followers to come up with their own Instagram shots featuring Oreo cookies being played with in all sorts of different ways. And this is the absolute genius of Oreo – they have managed to get their customers seriously involved with creating user-generated content. This really gets to the very crux of social media marketing – not least because it’s absolutely and unequivocally social. Fans are taken so much with the whole playful brand of Oreo, that it’s practically become a lifestyle – and a cool one at that. In addition, fans are literally creating their very own homemade adverts for Oreo for free, and sharing them amongst their networks. For example, this Instagram was made by a fan. But of course, Oreo join in with the fun themselves, thusly creating an ongoing, socially engaging campaign with their fans and followers. Here’s one from the Oreo team. Beyond the still images, fans of Oreo are even making their very own videos, freely promoting the cookies and sharing them on the likes of YouTube and Vine. Check out this from YouTuber Peter Bamforth (with over half a million views at time of writing). What Oreo marketing has shown us is that in order to be successful, it’s far better to jump into an existing conversation (as in Super Bowl blackouts) than it is to try and force one or create one yourself. Furthermore, with the likes of Instagram and Vine, the more you are able to encourage your fans to start, not only talking about, but actually creating content for your brand, the better. It’s no mean feat, but Oreo have really shown the world how it can and should be done.